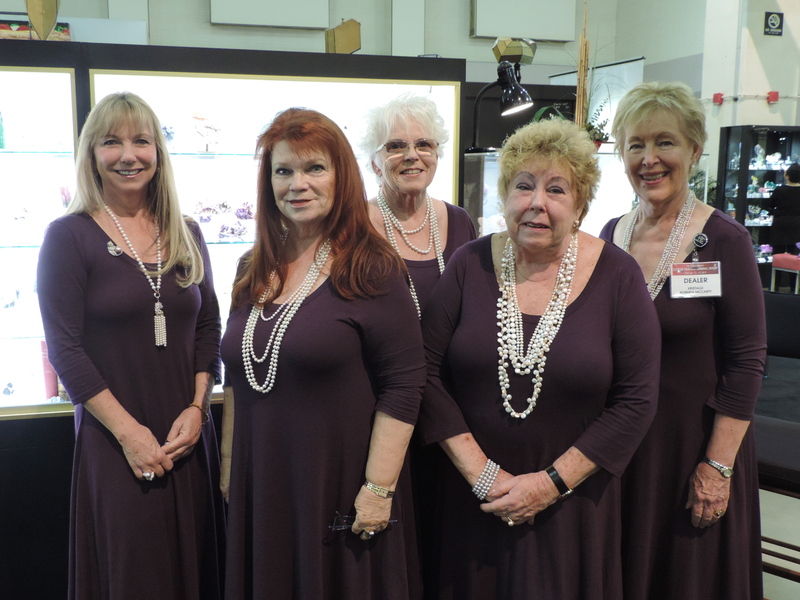 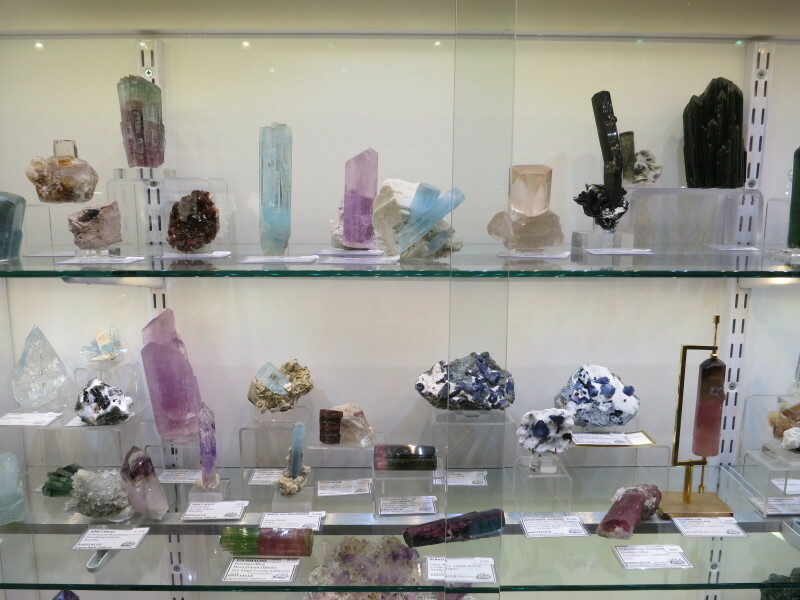 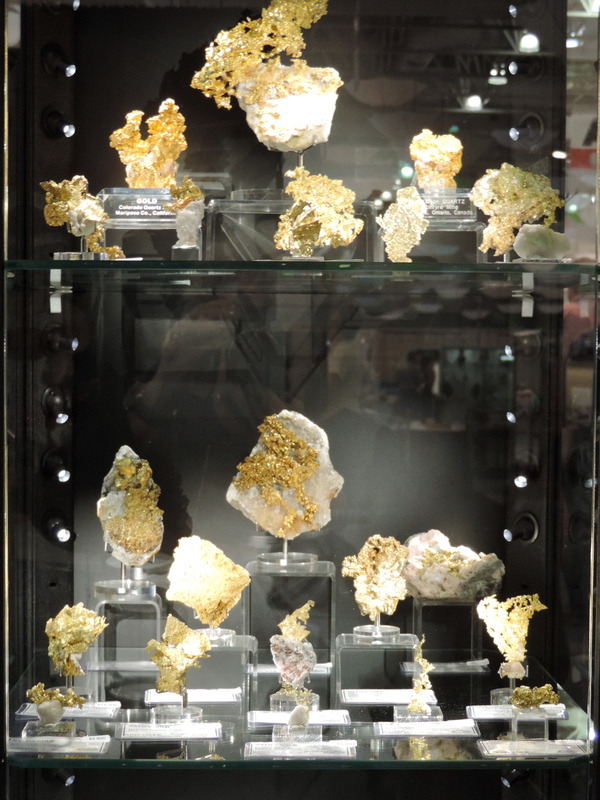 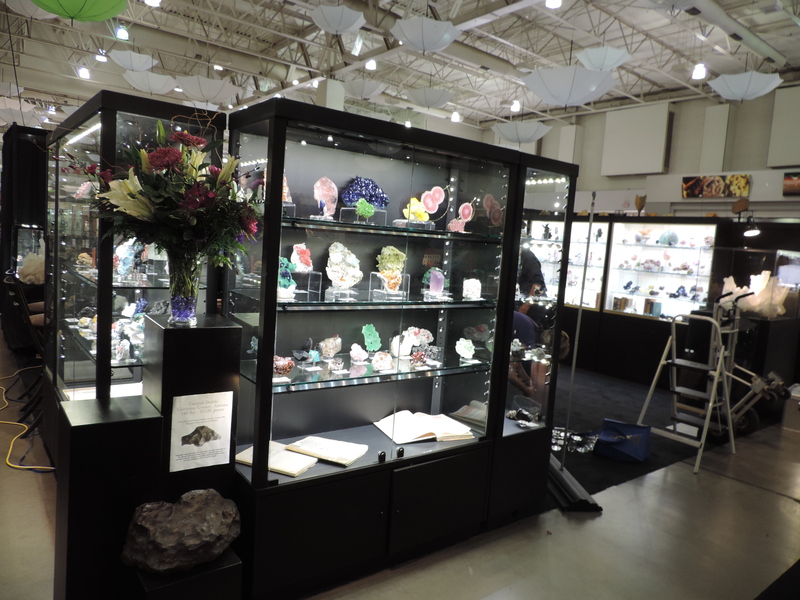 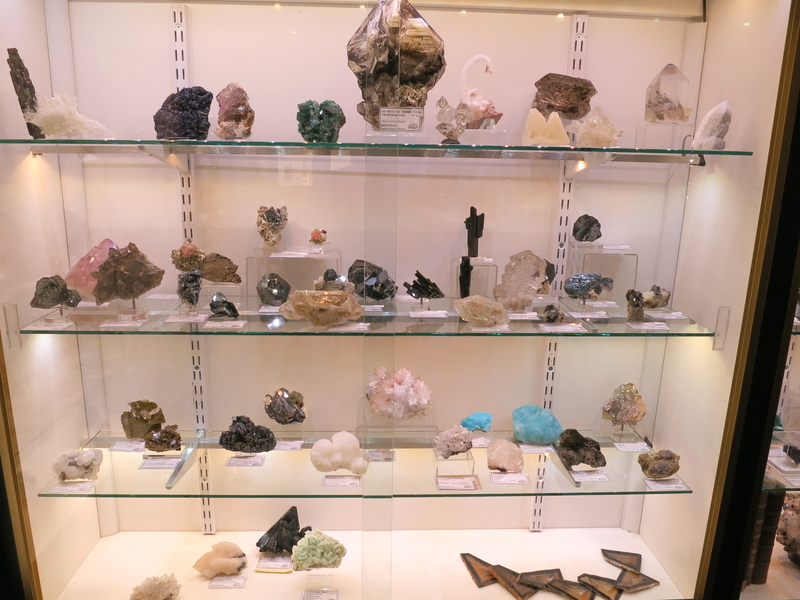 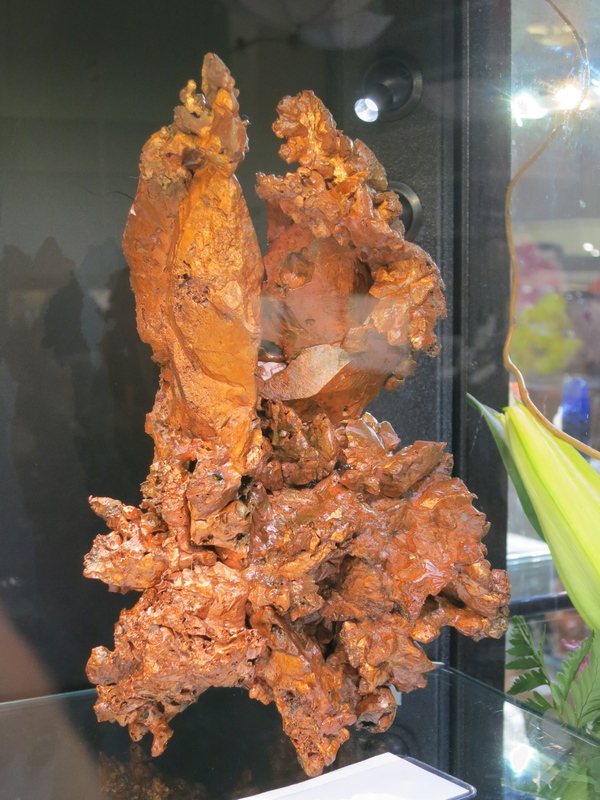 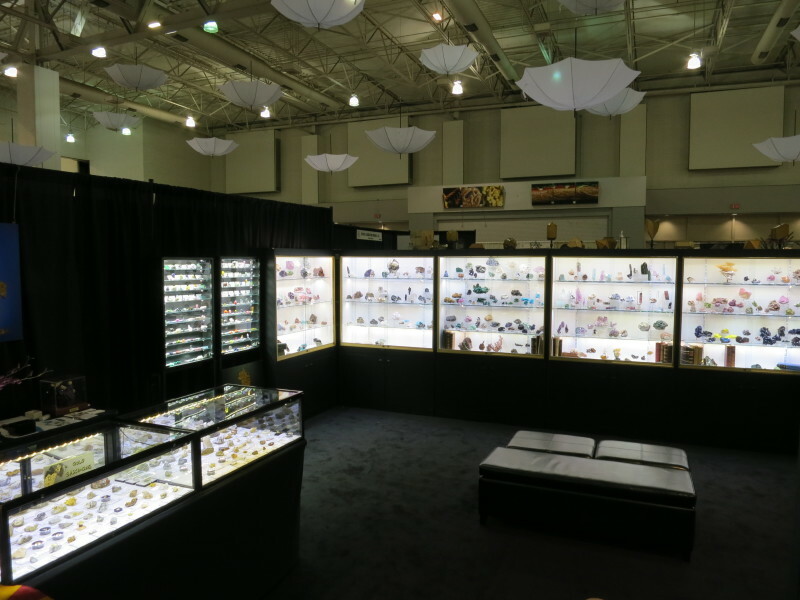 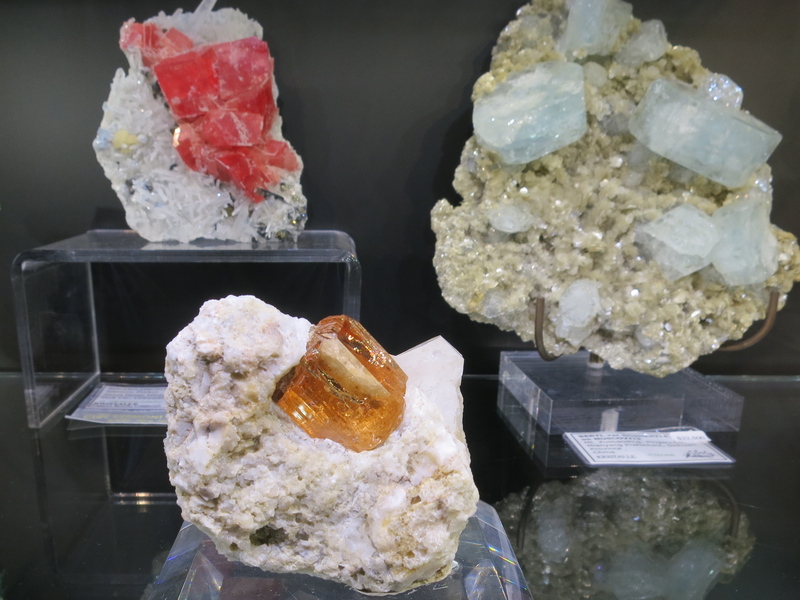 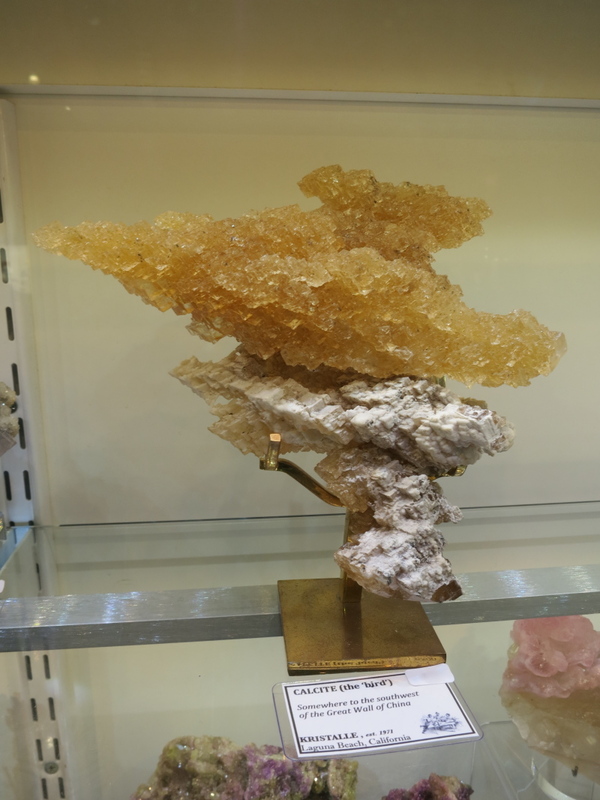 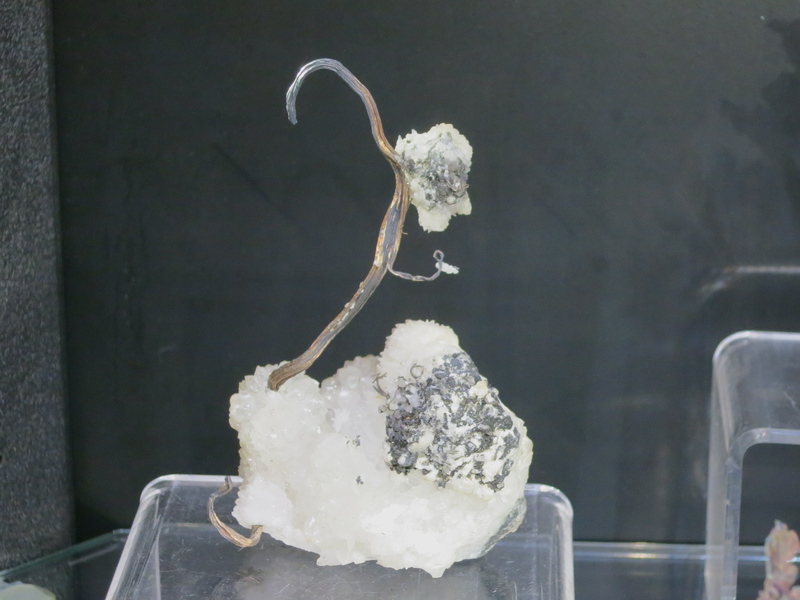 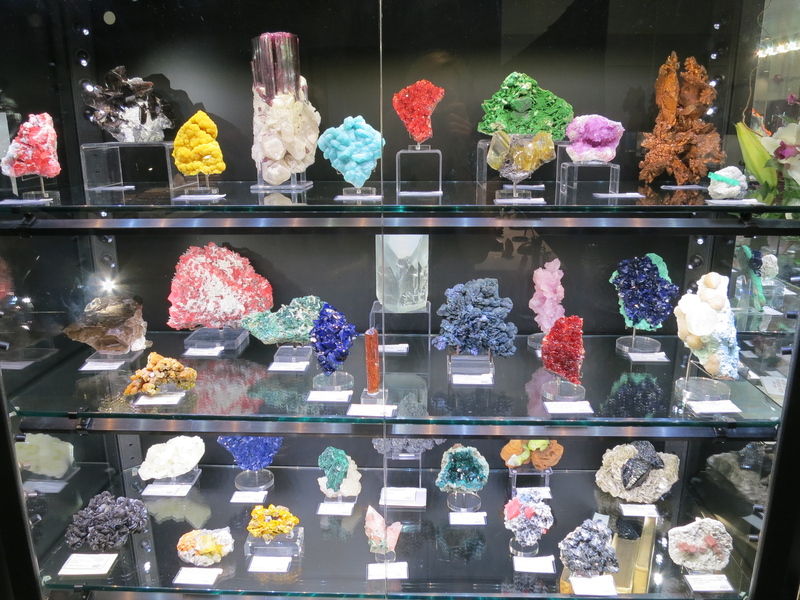 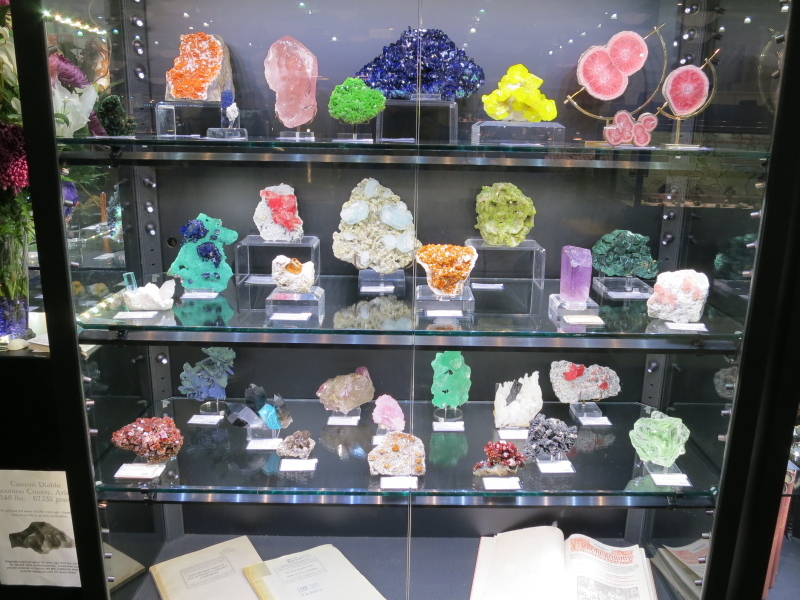 Hello and welcome to our first show report from the Tucson Gem and Mineral Society Show. 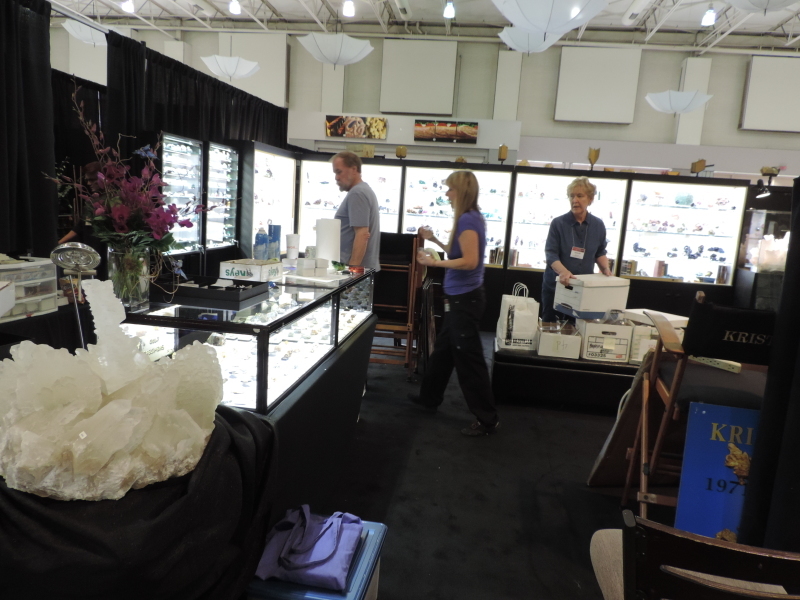 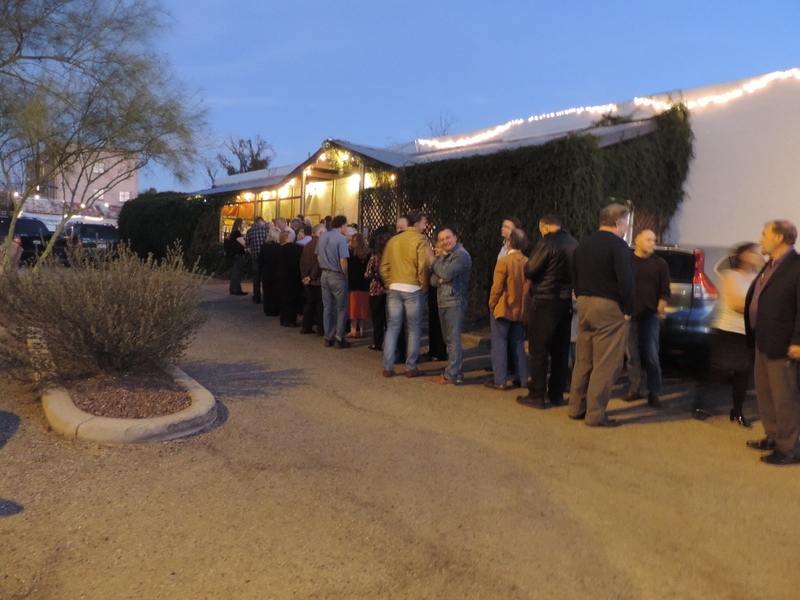 For many this heralds the end of the Tucson season, as the final mineral show. We alway urge people to stay to see this show, it is a ‘must-see’ for any collector. 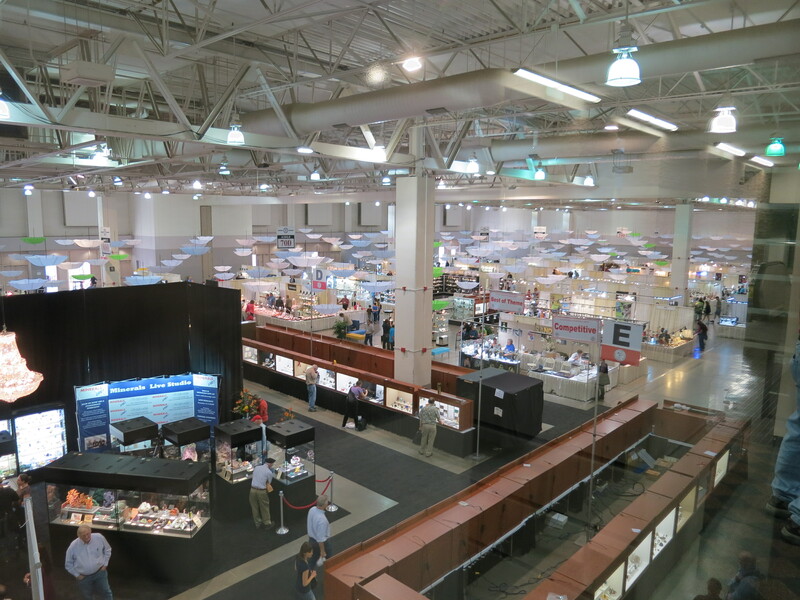 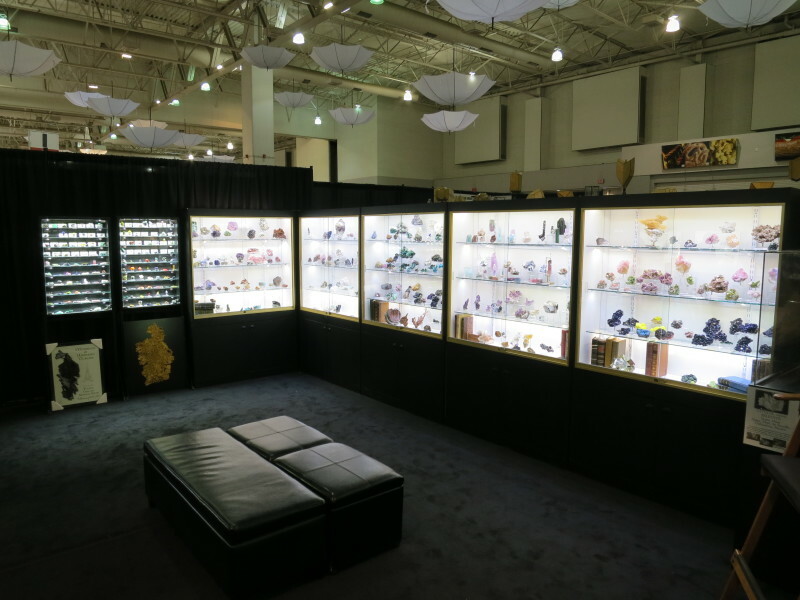 Apart from the many dealers, who create fancy booths especially for this show, there are many fantastic displays by museums and collectors from all over the world. 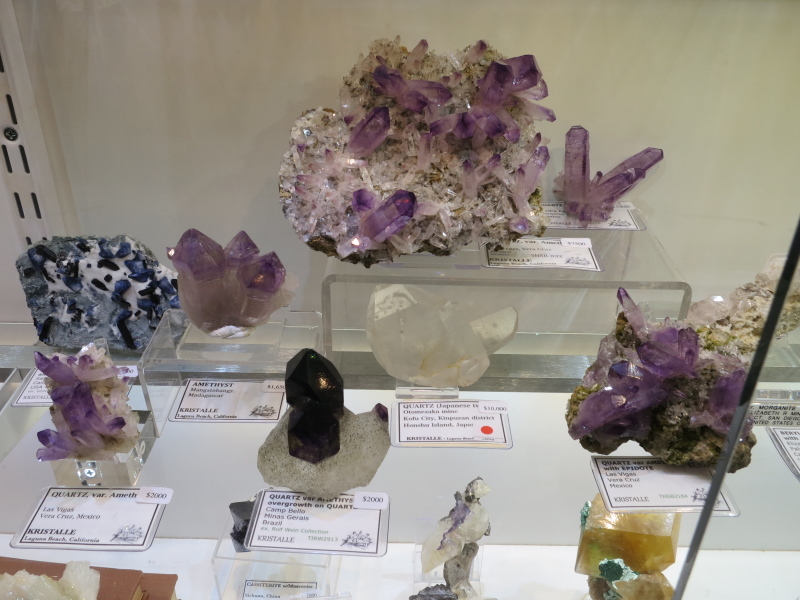 Each year the show has a special theme, this year is ‘Minerals of Western Europe’. 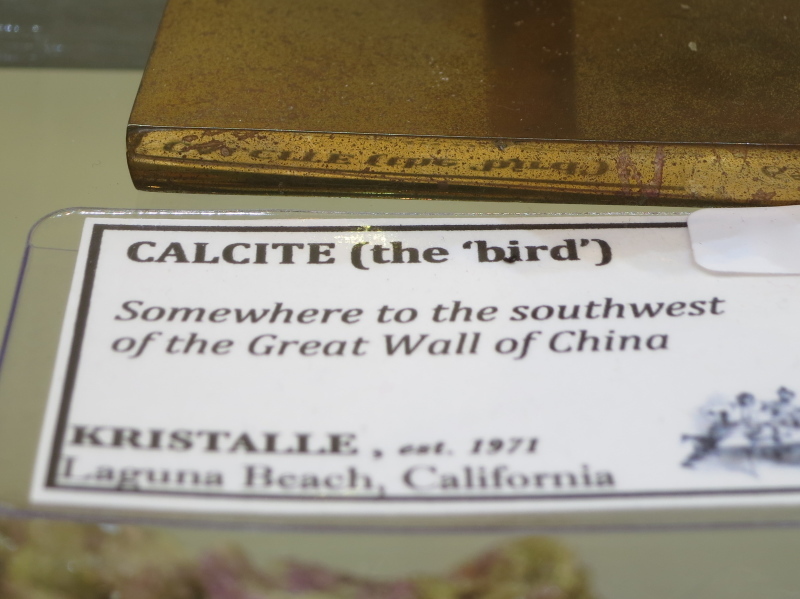 The Westward Look Fine Mineral Show finished on Monday, and on the Saturday night we attended a party hosted by the China (Changsha) Mineral Show. 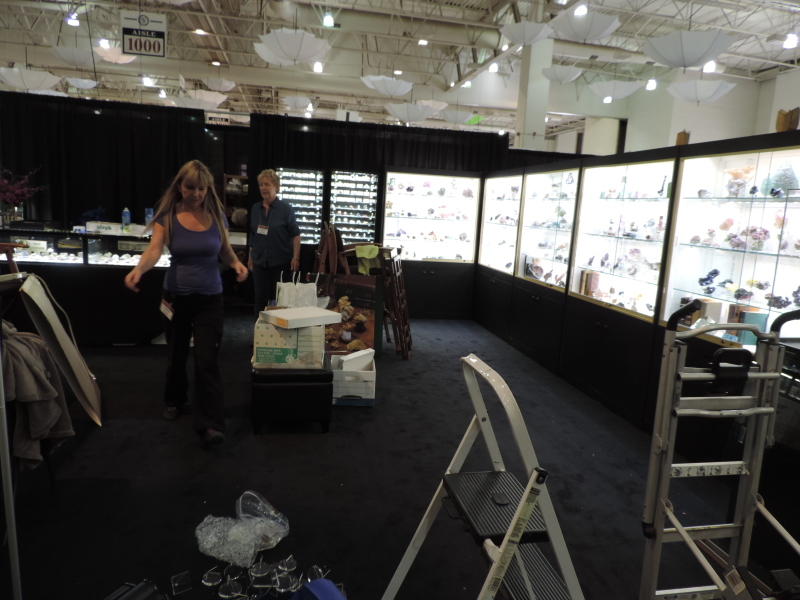 The Westward Look show finished on Monday and then it was time to pack it down and the rooms at the Hotel Tucson City Centre, ready for set up at the TGMS show. 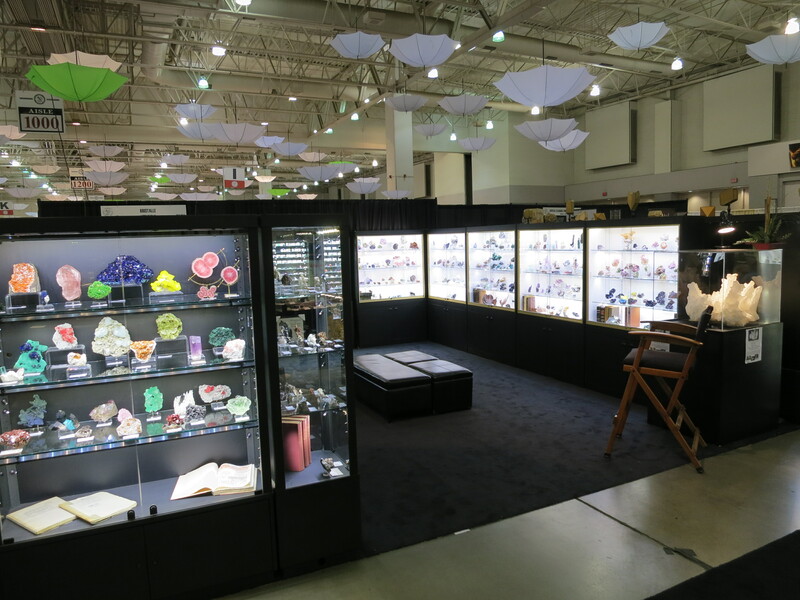 At this show we have a large booth in the centre of the convention centre, and setup takes a full day. 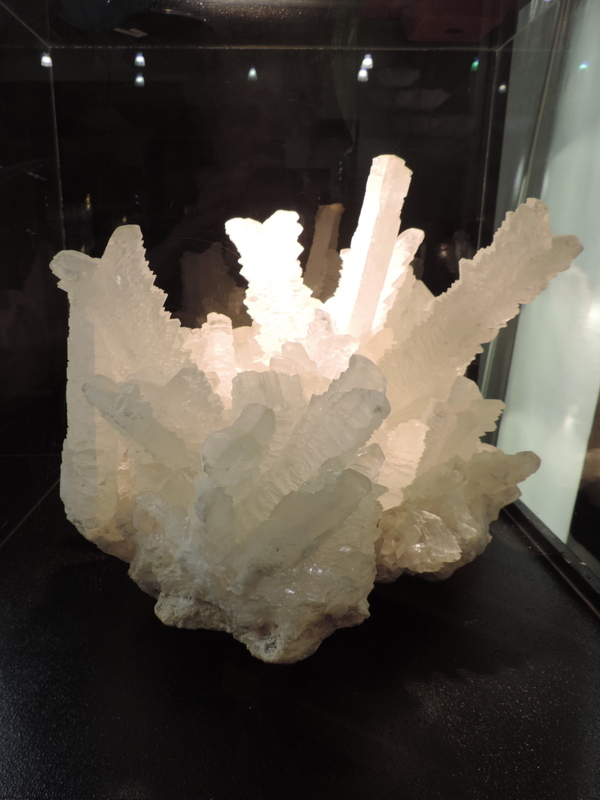 Large Selenite from Naica Mine, Mexico with fantastic ‘fish tail’ twinned crystals, up to 60cm in height. 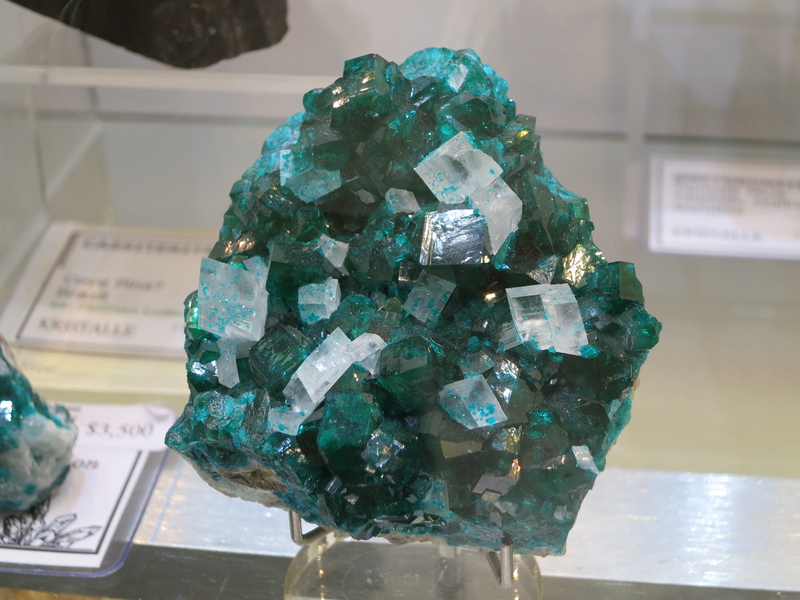 It is thought to have been mined about 40 years ago. 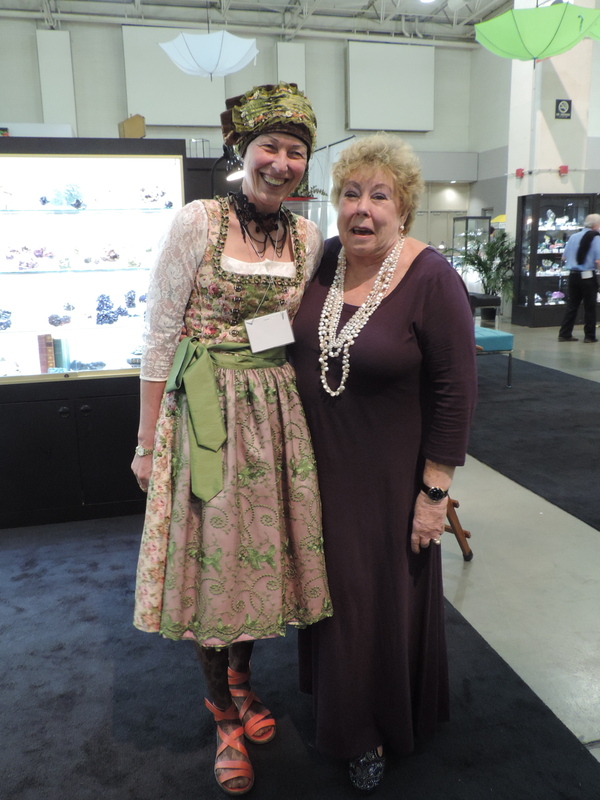 On opening day we always like to get into a theme, with everyone dressing for the occasion. 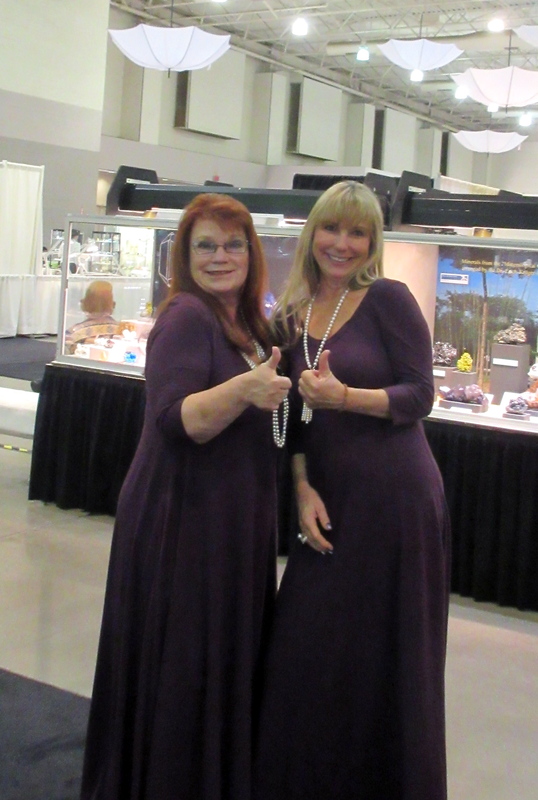 This year it was ‘Purple and Pearls’ with the ladies in matching dresses. 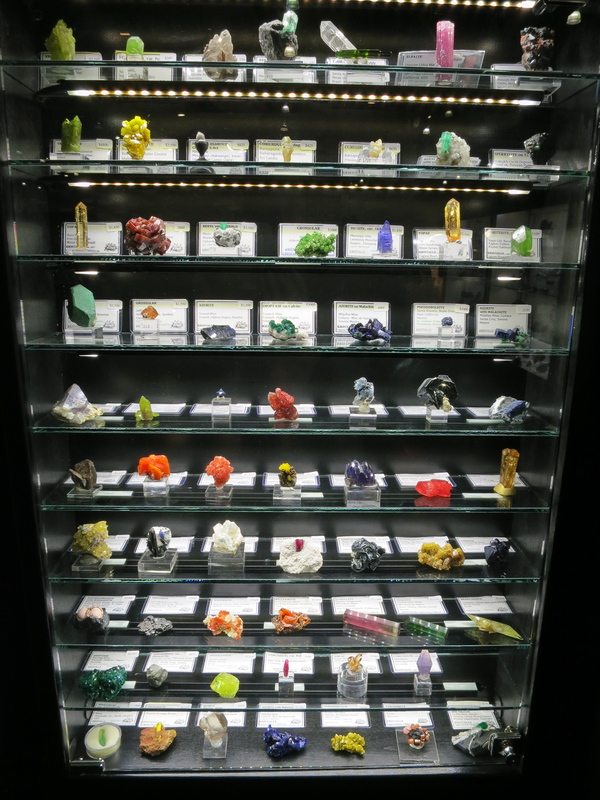 As you can imagine there are a lot of valueable specimens both for sale and in the special displays and the Tucson Police force do a fantastic job at the show every year, providing security. 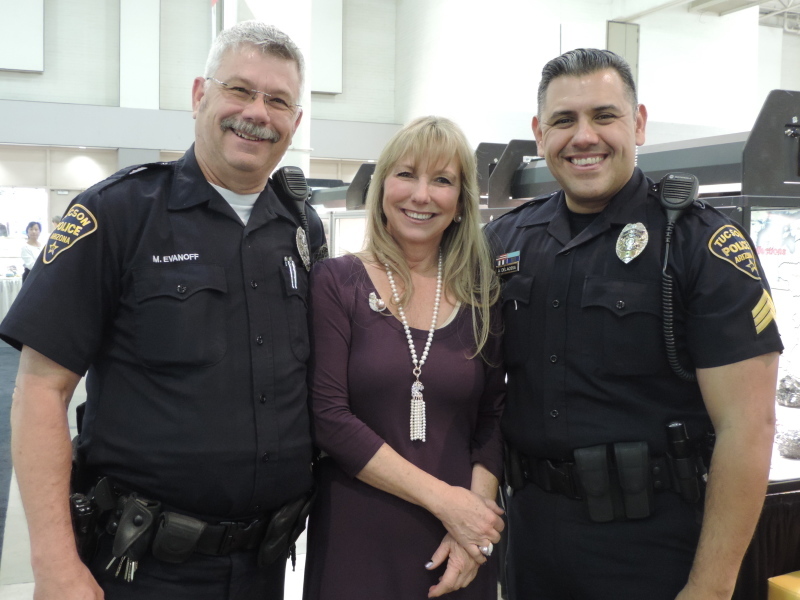 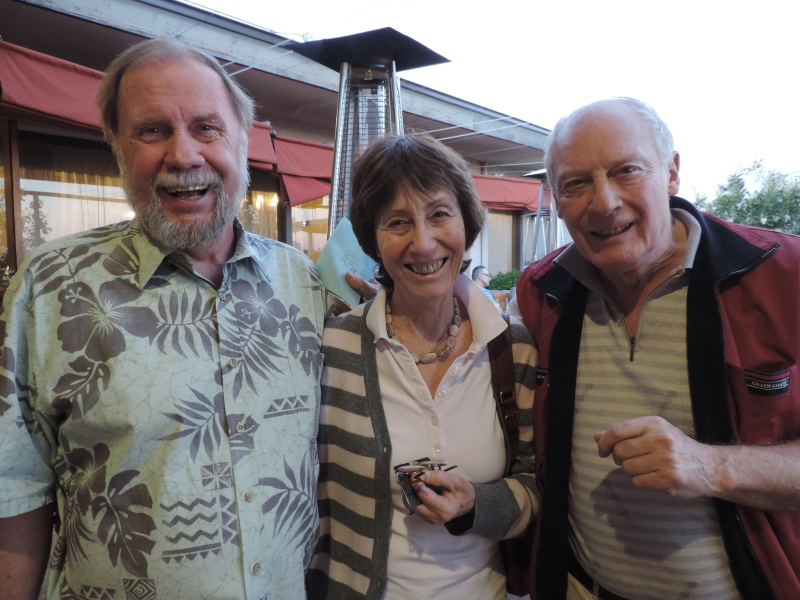 Lois with two of Tucson’s finest – Mark Evanoff and Anthony DeLaOssa, who are helping to make the show a safe place. 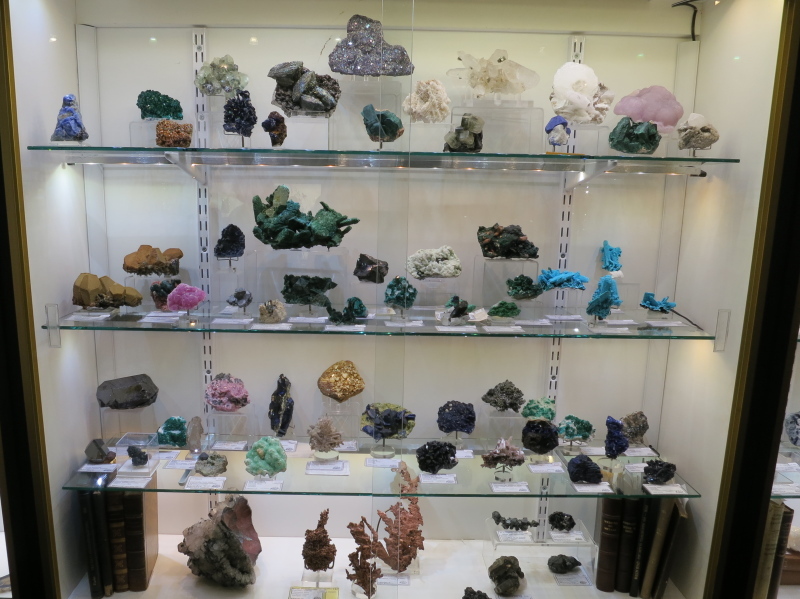 At Munich last year, the Gold for Collector’s book was released featuring the photography of Joaquim Callen of MineralUp Magazine fame. 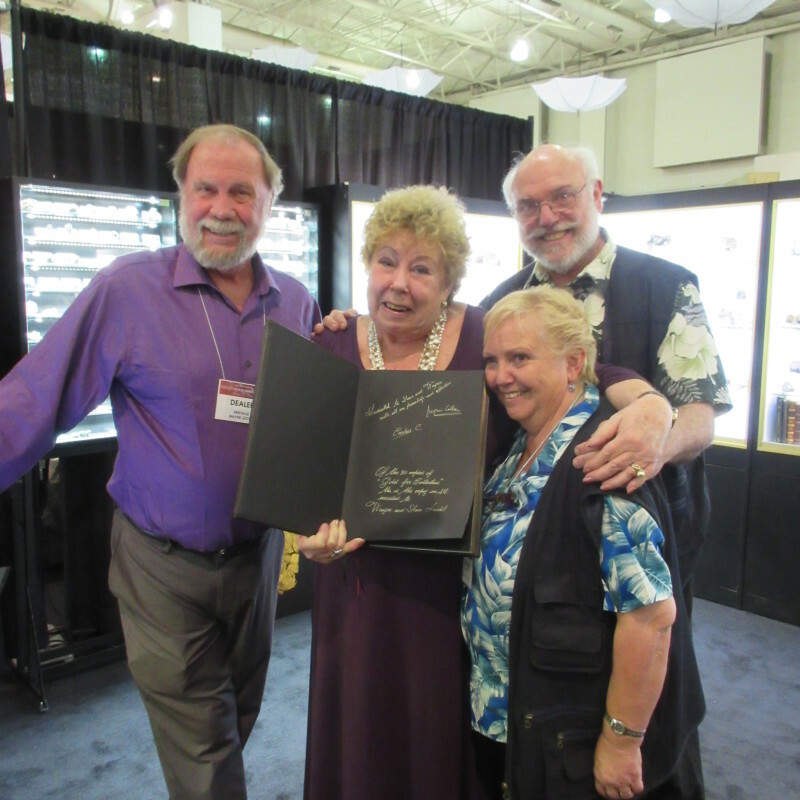 He and his wife Eloise were kind enough to present Wayne and Dona with an autographed copy of the leather bound edition. 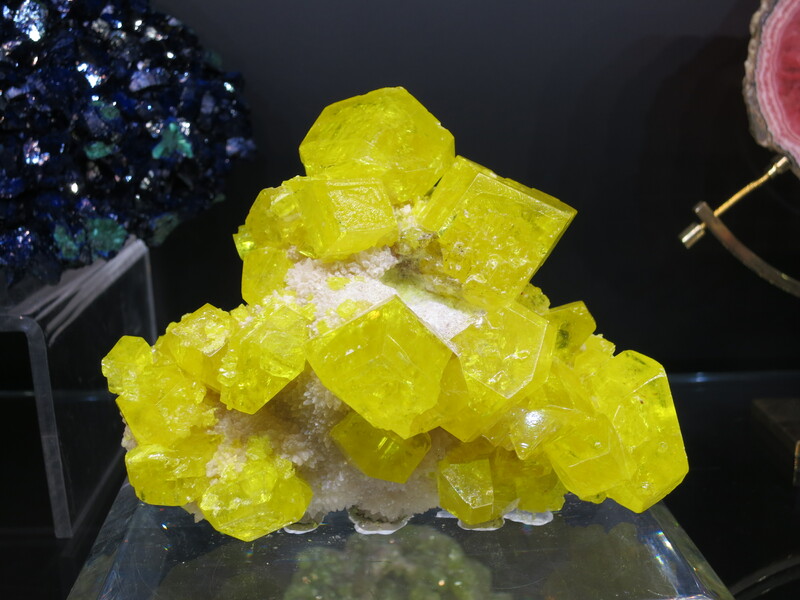 A closeup of the Native Sulfur from Agrigento, Sicily, Italy, over 10 cm across. 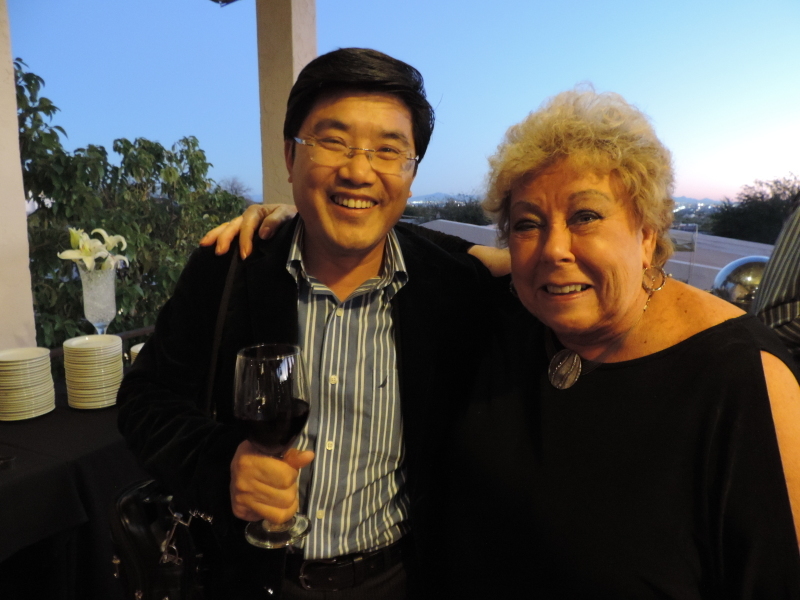 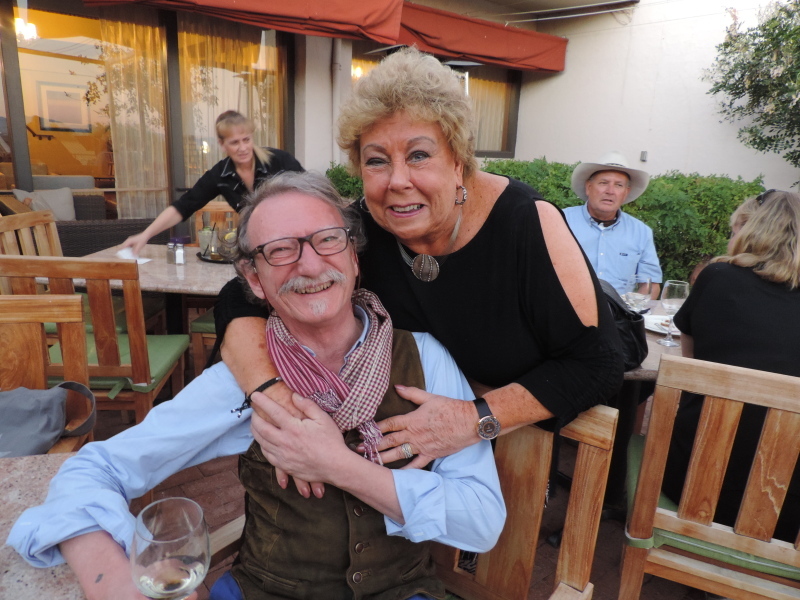 On the evening of Opening Day we were invited to a party hosted by Gail and Jim Spann and Jordi Fabre at Casa Vicente. 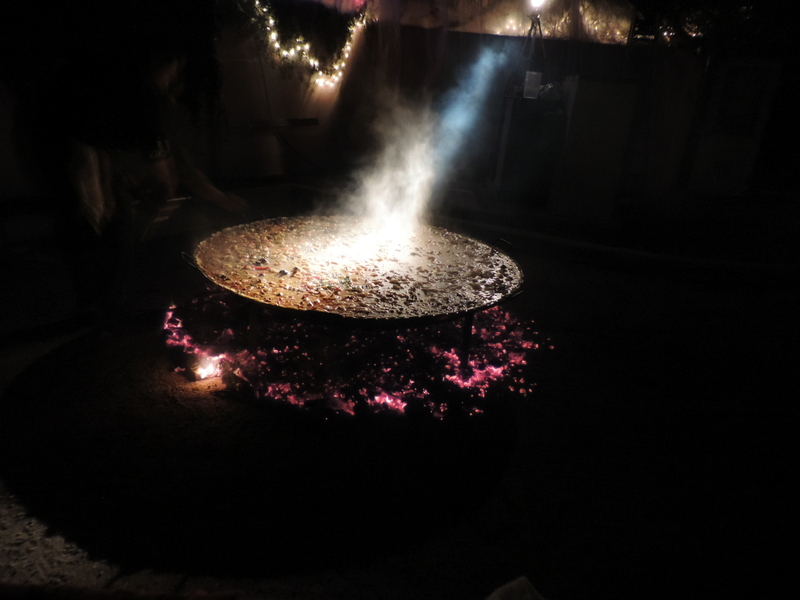 It was a fun night. 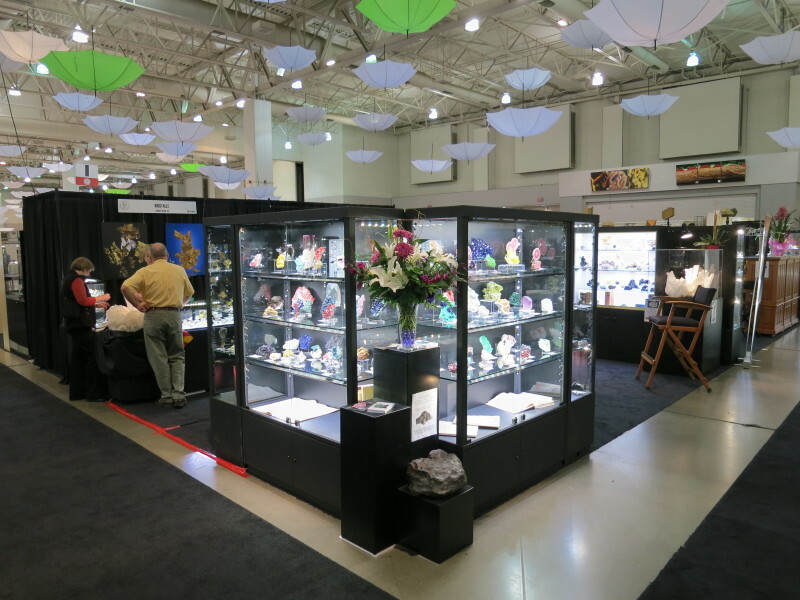 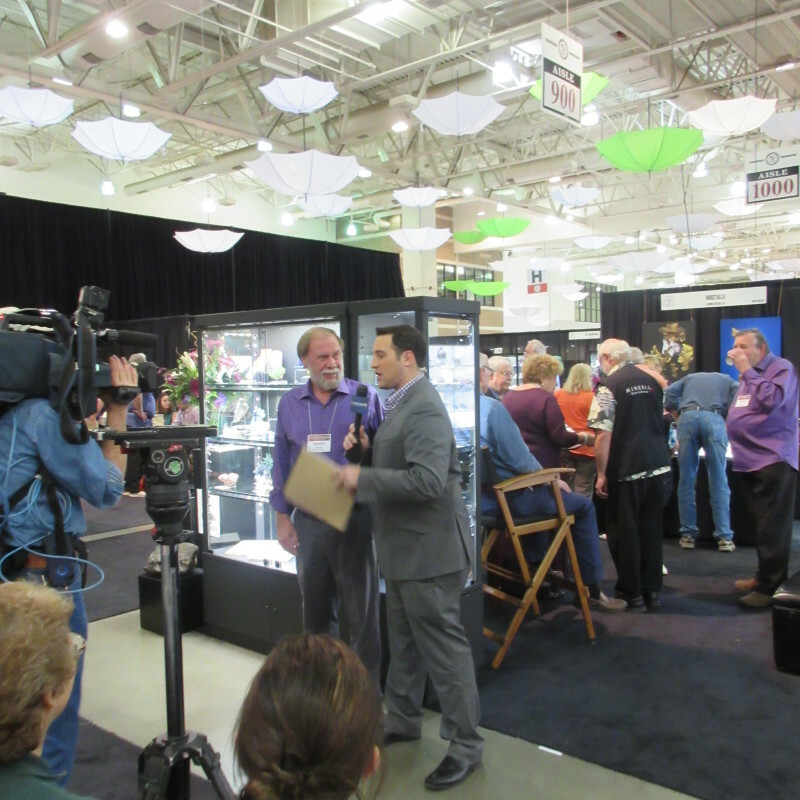 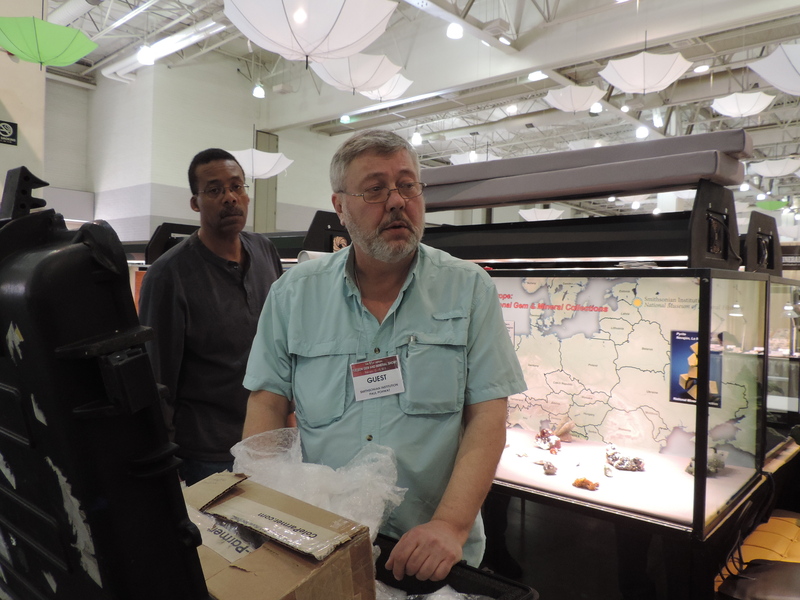 Our next show report will be coming soon with more photos from around the show, see you then!